I'd venture a strong majority of the searches for collection information on the Collected Editions blog regard Green Lantern TPBs, whether because of Hal Jordan's new life at DC Comics, Ryan Reynolds in the new Green Lantern movie, or the popularity of the Blackest Night miniseries as of this writing. Either way, I'm long overdue for a list of the best and essential Green Lantern collections out there (see our previous Superman, Batman, and Wonder Woman, and Flash lists). Setting aside any of DC Comics' Green Lantern archives (or Showcase Presents volumes, for that matter), there's just a handful of pre-Crisis on Infinite Earths Green Lantern Hal Jordan volumes I'd recommend (and of them, some of them are "cheats"). To wit, the collection of the ground-breaking 1970s Green Lantern/Green Arrow crossover title, which dealt with generally untouched topics like racism and drug abuse, is still in print and referenced in today's continuity. Two books not necessarily still in continuity (and not actually published pre-Crisis, either) are JLA: Year One and Flash & Green Lantern: The Brave and the Bold -- these books have been superseded by other Justice League origins, but I think they're worthwhile in their depiction of the friendship between Hal Jordan and Flash Barry Allen. DC has also recently published collections of the 1980s Green Lantern Corps mini-series and series under a Tales of the Green Lantern Corps banner -- these are not my favorites, especially the later stories, but have recently been referenced more and more in the modern Green Lantern series and the Blackest Night crossover. Given Hal Jordan's popularity right now, you might be surprised to find that only the beginning and end of his previous series in collected format. Emerald Dawn are two collected miniseries that functioned like Superman: Man of Steel and Batman: Year One after DC Comics' Crisis on Infinite Earths reboot, and The Road Back collects the first issues of that Green Lantern ongoing series. With that series' fiftieth issue, Hal Jordan became Parallax (of sorts) and Kyle Rayner became Earth's Green Lantern. A notable one-shot from this era is Ganthet's Tale by John Byrne and Larry Niven, introducing the titular Guardian who was important to Kyle and in the current Green Lantern series. I, for one, wasn't much of a fan of Green Lantern post-Crisis -- the Corps history too inscrutable, the aliens too unrelatable, and the conflict between gray-haired Hal Jordan and smarmy Guy Gardner often dissolving into so much bickering. So I for one jumped onboard when DC wiped the slate clean and introduced Kyle Rayner as the all-new, all-different Green Lantern, and much of my exposure to the Green Lantern mythology came in these books. Per my DC Trade Paperback Timeline, Kyle has a big moment in the crossovers Zero Hour and Final Night. Kyle's first and seemingly definitive writer was Ron Marz, through to Emerald Knights, but Judd Winick's run from New Journey through Passing the Torch is equally notable in establishing Kyle's place in the DC Universe. Out of continuity, but written by Marz and worth a creepy read, is Green Lantern Versus Aliens, featuring both Hal (in the past) and Kyle. In 2005, in something of a DC renaissance between Identity Crisis and Infinite Crisis, writer Geoff Johns resurrected Green Lantern Hal Jordan in spectacular fashion. If Green Lantern: Rebirth weren't enough, DC saw similar success with the Sinestro Corps War crossover (the kind of in-title crossover that subsequently lead the way for Superman: New Krypton and Batman RIP). This new Green Lantern title, as most everyone knows, continues strong, having just surpassed its fiftieth (and formerly Hal Jordan-removing) issue and serving as the cornerstone of the Blackest Night crossover and subsequent Brightest Day event. Alongside the book, Ron Marz returned to write a twelve-issue Ion miniseries starring Kyle Rayner that lead in to Sinestro Corps War. As I mentioned, I was never much for the first iteration of Green Lantern Corps, but the gritty space police-procedural that emerged alongside Green Lantern: Rebirth, written first by Dave Gibbons and later by Peter Tomasi, has become one of my favorite series. Maybe it's because, again, there's a crime and horror undertone to this series that resonates better with me than the Justice League humor of the 1980s, or maybe it's because the writers have taken a page from Beau Smith's book and portray Green Lantern Guy Gardner as a person, rather than a caricature, but I always look forward to these books. Green Lantern Corps crosses over with the Sinestro Corps War titles, and also with Blackest Night. The following collect the Blackest Night miniseries and Green Lantern and Green Lantern Corps issues, the Tales miniseries and "resurrected title" one-shots, and also six character-specific miniseries: Superman, Batman, Wonder Woman, Justice Society, Titans, and Flash. We'll round this list out with a bunch of Green Lantern collections that don't necessarily fit in continuity or otherwise stand on their own. Notable about Green Lantern: Fear Itself (by Ron Marz) and Traitor is that they feature multiple generations of Green Lanterns (Hal and Kyle, and then Golden Age Green Lantern Alan Scott in the former and Hal's predecessor Abin Sur in the latter). In Brightest Day is a "greatest hits" collection of sorts, hand-picked by Geoff Johns as inspiration for his current Green Lantern run. Willworld is an original graphic novel starring Hal Jordan and written by J. M. Demattis, which I believe was meant mainly as a vehicle for the late dynamic artist Seth Fisher to produce some DC work. JSA Presents Green Lantern are Alan Scott-focused stories culled mainly from the JSA Classified series. I think that covers it -- if you find a trade I missed, please let me know. You can see these books in easier-to-browse format at the Collected Editions Trade Paperback Store. I've listed some of my favorites above, but I'd be curious to know what's your favorite Green Lantern story? Thank you for this! Awesome! Quite welcome, Mark -- tell your friends! The upside of this list, too, is that it helped me get my thoughts together toward adding all this to the timeline, coming soon. Though not specifically a Green Lantern story, James Robinson's Golden Age shines a nice spotlight on Green Lantern Alan Scott as the powerhouse of the group. Unfortunately, much of the earlier Alan Scott material is available only in the pricey Archive volumes. In the 90s/00s, writers did a nice job of integrating Scott into the overall GL mythos and he's featured in some of the Rayner stories. Though James Robinson's Golden Age wasn't quite Green Lantern-centric enough for this list, quite agreed that it's a great book and probably something that should be on every DC Comics fan's shelf -- how long until DC publishes a deluxe hardcover edition, I wonder? It's interesting to read through the Kyle Rayner-era Green Lantern trades and see how Ron Marz, and then Judd Winick, slowly integrates Kyle into the Green Lantern mythos. Alan, Hal, and Ganthet show up early, but the series has an interesting turn around when Kyle starts to think about creating a new Corps. I gotta say, I don't find this sort of list (presenting a comprehensive list of 56! trades) or the Flash list (which lists about 34 trades) as interesting or helpful as the Top 10 Superman and Top 10 Batman trades. I think the place to steer completists towards every important GL trade ever is over in your timeline. I'd much rather have a list like the Superman one where you pick 10 interesting or underrated books and convince me to go and buy them. Sinestro Corps War followed by the Star Sapphire Arc mostly cause of the Acuna art. I'd like to disagree with Anonymous; as both a Green Lantern and Flash fan, I like having a list like this, broken down by "era" as it were, so I can have an overview of all the relevant books out there. That doesn't work so well with Superman or Batman, because there's got to be hundreds of books out there (I mean, each character has a half-dozen monthly series!) so a "Top 10" of those makes sense. But with Flash and Green Lantern, who generally (up until recently anyway) only have one ongoing series, an overview of what's available is a lot easier to follow than going to the TPB Timeline and searching for "Flash" or "Green Lantern" (especially when titles such as "Ion" may not match that search). Also, by separating the issues into "eras" you can skip the ones that don't interest you; for example, I stopped reading just before Kyle came in, and picked up again after Rebirth, so I have little interest in any of the Kyle books. Fair comment, Anon; as Mark demonstrates, I think the readers feel both ways. Frankly, I get more requests for reading orders than I do for top ten lists (though I appreciate your interest in my opinion! ), and personally I agree with Mark that in the timeline, sometimes its tough to trace one particular character rather than the DC Universe as a whole. Green Lantern/Green Arrow - Without a doubt, every DC Comics fan should own some version of this book in their collection. So much comes from this series -- numerous cover references, Red Arrow's drug addiction, a half-dozen in-jokes from Green Arrow: Quiver -- in addition to being one of the finest superhero social action stories that's yet to be matched. If you read nothing else, this is DC Comics gold. JLA: Year One - despite that this JLA origin went quickly out of continuity, it remains one of my favorite stories and especially, one of my favorite by Mark Waid. Waid gets, and gives distinctive voices to, Hal, Barry, Dinah, and especially Arthur and J'onn. There's surprises in this book that get me every time. 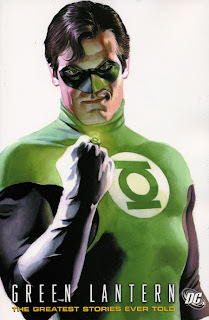 Green Lantern: Baptism of Fire - With Kyle Rayner having been my first Green Lantern, I have a soft spot for that era. This is one of Ron Marz and Darryl Banks' best, with Kyle, Darkstars John Stewart and Donna Troy, and Adam Strange all up against Grayven, an impressive Darkseid-substitute at the time. Green Lantern: Emerald Knights - More Kyle, more Ron Marz and Darryl Banks, this time in a time-spanning adventure that includes Hal Jordan and, better, Kyle versus Sinestro. What I like most about this one is Marz's minor rewrite of the Hal/Parallax episode, something I wish the current continuity would acknowledge. Green Lantern: New Journey, Old Path - I wasn't sure anyone could've written Kyle quite like Ron Marz, but Judd Winick went a long way maturing the character into the present. We see the first hints of that in this book as Kyle leads the JLA into battle with his own "Sinestro," Nero; don't miss Dale Eaglesham's art on the last chapter. Green Lantern: The Power of Ion - See, I wasn't kidding when I said this was a Kyle-heavy list. Here, Winick gives Kyle near unlimited power, and Kyle proceeds not to become a crazed supervillain as one might expect -- instead, there's a bevy of quiet and thoughtful moments here that I think work well. Kudos to Geoff Johns to later making sense, of sorts, of the Ion issue. Green Lantern: Rebirth - Rebirth is a book I can read over and over again (and have). It's not so much a story as a treatise on all the things you like about Green Lantern -- moreover, Rebirth is likely the most uplifting comic book story I've ever read, where everything goes right for the heroes and everyone comes out well in the end. If I could only hand someone one Green Lantern book, of course it would be Rebirth. Green Lantern: Secret Origin - I adore the relationship between Hal Jordan and Sinestro in Geoff Johns' Green Lantern run, but I don't think I got it, so to speak, until Secret Origin. In the spirit, let's say, of Clark and Lex in classic Smallville, Hal and Sinestro are such good friends, and it becomes crystal clear here that all their world-spanning problems ultimately stem from being so mad at each other that, when it came down to it, they didn't agree on core principles. This book entirely changed how I look at the Sinestro character forever. Green Lantern: Rage of the Red Lanterns - Rage isn't perfect by a long shot, and falls down a bunch with the introduction of the Blue Lanterns in the final part. But, the first three issues, a poor attempt at a Final Crisis tie-in, give a fantastic view of how the Green Lantern Corps is like a police force, complete with an Internal Affairs Bureau; even better, Hal mulls his conflicted feelings over Sinestro's pending execution. Green Lantern Corps: Recharge - I have since found a lot more to like about the Green Lantern Corps, but in this, my first experience with a Corps comic, I particularly liked how relatable Dave Gibbons made the Corpsmen. We follow four main characters: Isamot Kol and Vath Sarn, Corps partners despite being on opposite sides of the Rann/Thanagar War; doctor and reluctant Lantern Soranik Natu; and Guy Gardner, who Gibbons writes with level, Beau Smith-like aplomb. I liked these characters, I understood their conflicts, and I've been with Green Lantern Corps ever since. There you go! And now, a counter-question: what title would you like to see in a top ten (or chronology run-down) list next? Well, thanks, I appreciate this list and I can see the other point of view. And since you asked the question: I guess you've done something along the lines of "Top 10 pre-crisis trades" already (and I would put them at the top of the timeline). So what about: "Top 10 elseworlds/out of continuity trades"; "Top 10 trades with a female lead." I suspect there's almost enough for a Top 10 Teen Titans. But if there aren't, then just be more discriminating: "Top 5 GA" "Top 5 JSA". Or by author. Finally, I guess they don't all need to be lists of the good and great. Worst 5 Batman/Superman/whoever. Most out-of-character trades. Best art? Worst art? I suppose the permutations are endless. Anyway, I do love the site, I visit regularly. I have bought many books based on your reviews (including some more obscure books from the aforementioned Top 10 Superman and Batman lists). I love the timeline, and would love to see it continue to grow. 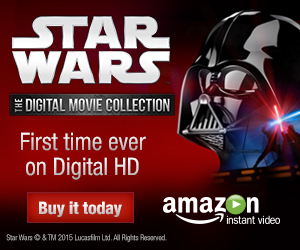 First I'm glad to see you included the two 1980s Tales of the Corps collections. Your writeup didn't do them justice however: The titular story in Vol. 1 is a classic - the first Corps battle, a mythos (and character)-defining work, and arguably the finest GL story ever done. Certainly a big inspiration to Alan Moore, Geoff Johns and everyone else that's had a crack at GL since. And beyond that the alien backups are a treasure of great done-in-one sci fi stories by some premiere talent: Alan Moore, Dave Gibbons, Gil Kane, Todd Klein, Kurt Busiek, etc. The 60s material collected in the Archives and Chronicles: Strange to see so little mention of this material. While they're essentially kiddie books, those Broome and Kane stories are rife with imagination and built the GL mythos. The most influential GL stories there are. In fact, these books influenced writers such as Englehart, Wolfman, Wein, Waid, Busiek, Johns, etc. Anyone who knows their DC, basically. Or works that haven't aged so well: The O'Neil/Adams GL/GA, the Greatest Stories Ever Told volume, etc. Anyway, not a bad list. I disagree on a few, but hey - tastes vary. Which is a good thing anyways. My god, DC: New Frontier! You're absolutely right; I can't believe I forgot that one. For someone like me who came into Green Lantern via Kyle, New Frontier was like a lightning rod in terms of demonstrating to me who Hal Jordan was, beyond that stodgy guy with gray hair at his temples. I'm not yet familiar with the older Green Lantern Corps books, but I'll make a point to read those soon. Thanks for chiming in! Thanks for the list and organization! Blackest Night (Green Lantern) by Geoff Johns and Ivan Reis (http://tinyurl.com/yj223cg). I don't think this one is on your list. Green Lantern: Blackest Night by Geoff Johns and Doug Mahnke (http://tinyurl.com/yz57b67). This one is in your list. Also correct; I missed the actual Blackest Night miniseries above, and only included the collections of the Green Lantern and Green Lantern Corps issues, and the various spin-offs. Now added -- thanks! This list help me a lot! I doubt she has much interest in, or the patience to wade through a bunch of old continuity from the 70's and 80's, and I also think more modern art would entice her more. So, I guess what I'd love to know is, what books would you recommend that would: A) give her good Corps stories, B) any good Hal Jordan stories, and C) are somewhat modern, but still give a good overall understanding of GL and the corps. I've heard such good things about the current GL series, but I'm afraid that's too new for my wife to start with, but I'm not sure if that's actually the case or not. I should also say that I already own DC: New Frontier, so I've got that one covered. I would start your wife off with Green Lantern: Secret Origin, Matthew. It's from the middle of Geoff Johns's Green Lantern run, but it goes back to Hal's origins, and retroactively sets up a bunch of things in Johns's Green Lantern title. Also a very accessible story. Then, you and your wife could start with Green Lantern: Rebirth and continue chronologically through Johns's Green Lantern series -- Rebirth is continuity-heavy, but then the stories are fairly self-contained except for the intrusion of event crossovers -- or, jump forward to Sinestro Corps War, which is mostly where things got cooking in Johns's Green Lantern series, through to Blackest Night and today. Or -- radical suggestion of the afternoon -- forget the Green Lantern title entirely, and go for Green Lantern Corps. Corps is maybe less continuity-based (follows a lot of new characters) and the latest trades -- Sins of the Star Sapphire, Emerald Eclipse -- have been really dynamite, very pulse-pounding. Whether you and your wife read Green Lantern or Corps, probably you'll end up grabbing the other title eventually; events in one do tend to lead into events in the other. I'm not sure if Rebirth is necessary; it's mostly about getting Hal and the others back to the status quo. If you don't know about Hal being the Spectre, Guy being the Warrior, and John being whatever (was he laid up in the hospital? I can't recall), then Rebirth will introduce all kinds of things that are no longer referenced. The biggest part of it I guess that's still around is the whole Parallax thing. But if I remember correctly they mention it enough times in the GL series prior to the Sinestro Corps that it's not hard to follow. And I agree that GL Corps mostly stands on its own, except when it ties into stuff like the Sinestro Corps War and (I assume, not having read it yet) Blackest Night. Of course, I'm probably a bad one to comment on this...when I decided to get back into GL, I started with the destruction of Coast City in the Death of Superman storyline, then on to Emerald Twilight, Zero Hour (which itself "required" a re-read of Armageddon: 2001 for the whole Monarch/Extant stuff), Final Night, Day of Vengeance...I would have read Hal's Spectre series during that time too, had I known it existed. I'm also working my way up to Flash: Rebirth by reading the last issues of Barry's Flash series, all the Wally West Flash trades, then JLA: Year One and the Brave & Bold (Flash/GL) mini-series! Gosh, you'll love JLA: Year One. Tell me after you read it. I ordered Green Lantern: Secret Origin, and the first 3 Green Lantern Corps trades. I'll see how those grab her, and go from there. Might do that specifically one of these days, but in the meantime if you follow the Green Lantern books in the DC Trade Paperback Timeline, I think that'll tell you about what you want to know, and then some. I just had a look through the timeline, and it appears that all of the GL, GL Corps, and even the Ion books are there. Either way, I think it's fairly safe to read Green Lantern and Green Lantern Corps separately up until they meet during the Sinestro Corps War. From what I remember Ion stands alone, not crossing over with either of the other titles, although there are elements of Countdown to Final Crisis in it, and I believe there's a reference in Sinestro Corps War (although not a hugely important one) to something in the Ion books. Either way, sticking to the timeline should be a clear enough path for you. And just a few notes to what Mark said -- the Ion miniseries leads in to Sinestro Corps War (but is not extremely crucial unless you specifically want to follow Kyle Rayner's adventures); Kyle does appear in Countdown to Final Crisis after Sinestro Corps War, but I'm pretty sure Green Lantern Corps never mentions those events (but I'm not positive). But yeah, the timeline would be the way to go for now. The Ion book has Countdown elements in it, but the GL Corps books do not. I would agree that unless you're following Kyle, you can skip the Ion stuff.